ECP had sent notice­s to all MNAs, MPAs to submit proof they are not dual nation­als; disqua­lifica­tion on noncom­plianc­e. ISLAMABAD: As many as 212 lawmakers, including Prime Minister Raja Pervaiz Ashraf and some leading politicians, have continued to defy the Election Commission of Pakistan (ECP) by not submitting their declarations that they do not possess dual nationalities. 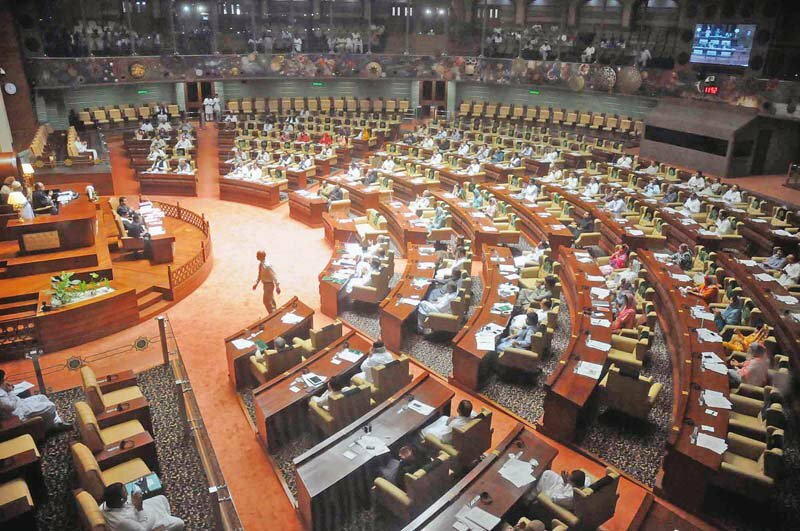 Around 29 Senators, 75 Members of the National Assembly, 76 Sindh Assembly, 24 Punjab Assembly, seven Khyber-Pakhtunkhwa Assembly and one Balochistan Assembly members have not filed their affidavits. On October 9, the ECP had sent notices to all the members of the national and provincial assemblies to submit within one month declarations which should be attested by the oath commissioners to affirm that they did not possess any other nationality other than Pakistani. In its letter, the ECP had warned that those who failed to submit the required affidavits on oath within a month would be considered as dual nationals, and action could be initiated against them that could lead to their disqualification. The Supreme Court in September had disqualified all federal and provincial lawmakers with dual nationalities from holding any public offices. Under the Constitution, a person who ceases to be a Pakistani national or gets any other nationality along with his Pakistani citizenship is not allowed to contest the elections for the parliament and the provincial assemblies. The ECP had earlier made a futile attempt to get such affidavits through the speakers of the national and provincial assemblies and the chairman of the Senate, as most of them declined to do so, insisting that it was not their responsibility. They said the ECP should have scrutinised the matter when the candidates had filed their nominations for elections. This led the commission to approach them individually to seek fresh oaths from them. A top official of the ECP told The Express Tribune that the commission has called a two-day meeting on November 12 and 13 to discuss the issue of lawmakers who have not filed their declarations and decide the course of action. The provincial election commissioners have also been summoned to attend the meeting, the official said. Another official said that it is likely that these members may be given one more opportunity before action is taken against them. “The commission can issue them show cause notices and fulfill all legal requirements before disqualifying these members,” the official said. What happens if they are disqualified? The country can face another crisis if the commission disqualifies them in such large numbers. Under Article 224 of the Constitution, by-elections can not be held if any seat becomes vacant less than 120 days before the completion of the respective assembly’s tenure. In the case of the current National assembly, its five year term expires on March 16, 2013. Hence no by-elections will be possible if members are disqualified after November 15. The government had earlier moved to amend the Constitutional provision that bars dual nationals from taking part in elections. But it faced stiff resistance from the PML-N and ANP to pass it. It needs the support of two-thirds of the members of both the NA and Senate separately to get it passed, something which is a daunting task. Among those who have not filed their affidavits are: Prime Minister Ashraf, Federal Minister for Kashmir Affairs and Gilgit-Baltistan, Mian Manzoor Ahmad Wattoo, PPP Secretary General, Senator Jahangir Badar, Senator Mian Raza Rabbani, Senator Aitzaz Ahsan, Federal Minister for Textile Industries, Makhdoom Shahabuddin, Minister of State for Interior, Imtiaz Safdar Warraich, MNA Nazar Muhammad Gondal, former PPP minister Abdul Qayyum Jatoi, Minister for Religious Affairs, Syed Khurshid Ahmed Shah, Minister for National Heritage and Integration, Samina Khalid Ghurki and Defence Minister, Syed Naveed Qamar. Among the MQM members who have not submitted there declarations are: Federal Minister for Overseas Pakistanis, Dr Farooq Sattar, Deputy Parliamentary Leader, Haider Abbas Rizvi, Khushbakht Shujaat, Senator Babar Khan Ghauri, Senator Syed Mustafa Kamal and Deputy Convener, Nasreen Jalil. Among the prominent members from the opposition who have not filed their affidavit is Jamiat Ulema-e-Islam-F (JUI-F) chief Maulana Fazlur Rehman. ECP had warned all lawmakers to submit declarations stating they do not hold dual nationality. Advises her counterparts that if anyone who still has a dual nationality should volunteer their resignation. Hussain was working as an Advisor to the Prime Minister on Petroleum and Natural Resources. Lawmakers have to submit declarations within a month. These parliamentarians were earlier deemed disqualified by the Supreme Court. Dual nationals in parliament are traitors, while dual national Afia Siddiqa is a quom ki beeti…right! Yet we ‘elected’ these people to make laws for us – when they’re clearly violating or plan on violating the dual nationality law themselves. Sometimes I think our people just aren’t suitable to democracy. We still get dictators like Zardari who can wrestle with the SC using one of his many pawns. There’s no concept of Inter-party elections (so basically specific families run political parties). It’s all a big joke. This is funny this is checked at the end of 5 years. what about another rule that convicted and criminals can not hold any public office? Today CIA chief resigned just having extramartial affairs….we have a president whos cases are being pursued by apex court and still clings to the power chair. Please do not mix up two different issues. It does not help. Let the Law run its course. If it comes to disqualification ,so what. If it leads to early election.Is it bad? These big people’s are banking Who blinks first? Election commission must follow its rules. Election commision have been already negligent. They should have checked it when these people’s were applying as candidates. 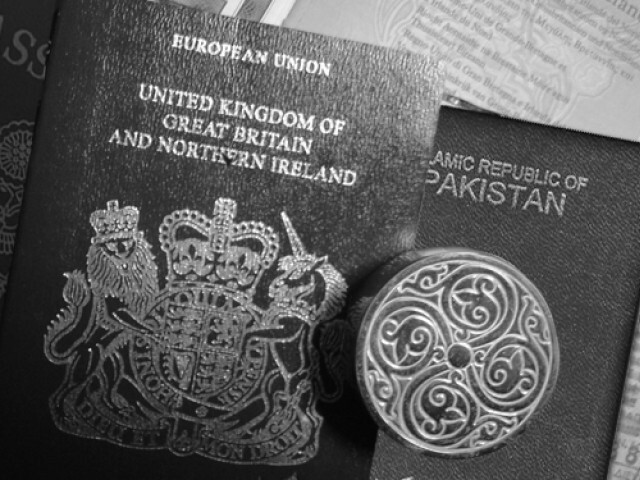 Dual nationals are not traitors–they are just barred from contesting elections. Stop the theatrics now! The court documents on her case are easily available. She is a Pakistani National. 212 against 190+ million. These are 212 we really do not need. Why this procrastination ? The CEC has himself correctly and bravely said we can do without ‘half Pakistanis’ in the assemblies. This holding of dual nationalities is morally wrong, in principle incorrect and illegal as well. When ZAB had this inserted in the Constitution he did so with wisdom and foresight. This should also cover superior judiciary, senior generals and senior bureaucrats, as they are very much involved in decission making on a national level. @Nadir: Yes ! that is so, because our constitution says so….first change the relevant clause 63 1 C which bars Parliamentarians to contest in the first place, then your argument is valid….just commenting for the sake of commenting exposes your shallowness…..
@the Skunk: Why only MQM dual nationals ?…all those who are dual nationals must resign or get disqualified…period. We do have word ” resignation ” in our dictionary “…..as we do not possess the moral value needed to stand in comity of Nations….. The only record that we have is recently, the Sindh industry minister belonging to MQM resigned due to Baldia factory fire…. When any body put a a counter comment It should appear next to that person comment. It gives continuity of thought and argument. Whenever we see such these types of situations by the politicians,bureaucrats and ministers then why do we forget it that “this is Pakistan” not any other country….